Is it Possible to Only Have One Afib Episode? You are here: Home / Questions and Answers / Is it Possible to Only Have One Afib Episode? Do you have a question that you’d like me to answer? Please contact me with your question! I respond to everyone that emails me so even if your question isn’t featured as a Question of the Week, you’ll still get a direct answer from me via email. Matteo writes, “I have had just one AFib episode in July 2015. Since then, I’ve had two checkups, an EKG, treadmill EKG, an echocardiogram, and all tests were good. I’ve had some PACs and PVCs that occur more frequently when I’m stressed, my blood pressure is good, but my heart rate is quite high. My lifestyle has changed, I only drink a maximum of one cup of coffee a day and virtually no alcohol. I maybe have one drink in a social occasion and I also pay more attention to my hydration. Well, my answer to this is, I suppose it is possible, but based on my experience, and again, I’ve had AFib or I had AFib for nine years. And I say, I had AFib because I had a successful ablation in March of 2015 and I haven’t had AFib since. But in the nine years that I’ve had AFib, and all the reading and research I’ve done and talking to fellow AFib-ers and exchanging emails and comments with people through my blog over the years, it’s not likely that you’re only gonna have one episode and never have another episode again. Now, it’s possible though that you could go many years until you have another episode. Take my example, I was first diagnosed in 2006, and I didn’t have another episode for, I believe it was a year or two. And for the next eight years, I only had one episode every year or sometimes I would even go two years in between my episodes. And I’ve also heard of people that have had an episode and they go a decade before they have another episode. That’s the thing about AFib, it’s so unpredictable. But here’s the thing, if you do have an AFib episode, that is an indication that there’s a defect in your electrical system. And so the question is, just like if you were to have a defect in anything else, like your car or anything else, is it possible that it’s just a one time thing and it never happens again? Yeah, I suppose it’s possible. But the reality is if you have this inherent defect, it’s probably gonna rear its ugly head again. But again, the question is when? And that’s the thing no one really knows. And I think if you talk to any doctor, they’re gonna tell you the same thing, it’s very unpredictable. You could go 10 years, you could go 10 days, you could go 10 minutes before your next episode hits. But here’s what I tell people. Don’t, and I know this is easier said than done, but do not live in fear, because you could go 10 years until you have another episode or before AFib really becomes an issue in your life that you have to deal with. Why spend the next 10 years fretting over this and then thinking about, “Oh my gosh, is my AFib gonna show up today? Am I gonna have another episode?” And again, I know that’s easier said than done. Trust me, I’ve been there. I still struggle with it even though I’ve been AFib free for two and a half years now. I still think about when is the next episode gonna happen. But I just encourage people when I talk to them directly on the phone or they email me, or even through the comments on my blog, I just tell them, just try to live in the moment, don’t worry about the future or dwell on the past episode that you had or worry about when the next episode’s gonna hit. Just enjoy the day that you have been blessed with. And if it’s in NSR, just be thankful that today I’m AFib-free and I’m just not gonna think about it, and I’m just gonna enjoy my life! I’ll deal with AFib when it occurs. Whether it’s a day or 10 years from now or whenever it is, I’ll deal with it then. But for now, I’m just gonna enjoy my life, and that’s what I encourage people to do. Matteo, I hope that answers your question. And if anybody else has any questions for me, just click on the link here found at the bottom of this page where this Q&A will be posted. It takes you to my contact page and you can fill that out and shoot me a question. And your question might be featured on the next Q&A session. Thank you. I was found to have AFIB in an EKG three years ago. No symptoms and a couple of subsequent EKGs did not detect AFIB. Had a bad experience (blood in my urine) Xarelto– blood thinner my doctor had recommended, so I stopped taking it. So far, knock on wood, so good. Gerald – glad to hear everything is going well for you! My mom had afib only once after her stroke 30 years ago. She is now 96 and still lives at home. Liz – that’s great to hear! Good for your mother. Wow – 96 and still living at home (and no afib in 30 years). I love it! Sure you can. My wife so far is a great example. Most often this happens from temporary thyroid dysfunction with too high or too low T3 and/or T4 blood levels (most often too high levels of both T3 and T4). Usually when the thyroid hormone level is out of whack is when a single rogue AFIB episode can occur and once thyroid levels are under control again the person remains free of any more episodes. However, sometimes even a single too-high thyroid hormone induced AFIB epiosode can set the stage for gradually increasing AFIB if the person is also genetically predisposed to AFIB as well. Once that trigger gets pulled it can become a more regular companion, unfortunately, regardless of thyroid status. P.S. Same scenario can happen with too-high a dose of asthma inhalers, decongestant medication and some chemotherapies as well as other drugs that can enduce cardiac arrhythmia. You bring up some great points that I totally forgot to mention. I was primarily answering Matteo’s question who’s afib (I believe) was spontaneous. I don’t believe Matteo’s one-time afib episode was the result of thyroid dysfunction, asthma inhalers, decongestant medication, or chemotherapy. Still, though, you make some excellent points that there are cases where a one-time episode of atrial fibrillation is possible. Thanks for chiming in! Perhaps you’ve heard of Dr John Mandrola and his blog and facebook page? He’s an active electrophysiologist and enthusiastic biker. I wouldn’t wish AF on anyone, but who’d be better placed to benefit – himself and his patients – from the perspective the experience provided. Imagine the empathy. Yes, I have definitely heard of Dr. Mandrola. I’m not a big fan of his for a number of reasons. A lot of his beliefs and writings go directly against evidence and what the true experts in this field believe. How do you know he’s only had one episode? That blog post was written 7 years ago. I don’t know how many episodes he has had. If he’s only had one episode that’s great! Like I said, it’s isn’t necessarily impossible but I’d say having only one episode in your entire life is rare. I think that statement that it is rare is incorrect. I had a-fib nearly 2 years ago, nothing since. All the tests done came back normal. My trigger was determined to be diet/weight related. I got healthy and lost 40 lbs and have had no a-fib since. My doctor (rated one of the best in the area) told me that he has several patients in the same boat; going many years or never having a-fib again. Some of these people have lived 20-40 years without having an episode and I’ve seen other comments in this blog backing that up. My father had an a-fib episode in his life 38 years ago. Never had it happen again. Of course its possible to have a-fib happen again in one’s life, but I would warn against scaring people into thinking it’s rare just because that’s your opinion. 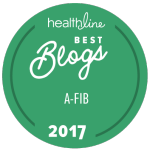 For other people that have experienced an A-fib episode in their life, it is NOT rare for it not to happen for many years or never happen again. Fair enough. I wasn’t trying to scare people. It’s just been my experience that if someone has an episode they are at a high risk of it happening again. Most of the people I talk to through this blog were never “one and done” afibbers. Having said that, I’ll concede that having an afib episode doesn’t automatically mean you will have more episodes. I may revisit this topic in the future to soften the language/warning a little more:) Glad to hear you are doing well and are afib-free! Thank you for the article. I had hoped after treating my Radiation Pneumonitis the Afib would just go away but it is still alive and well two years later. I too worry about it all the time. You’re not alone! 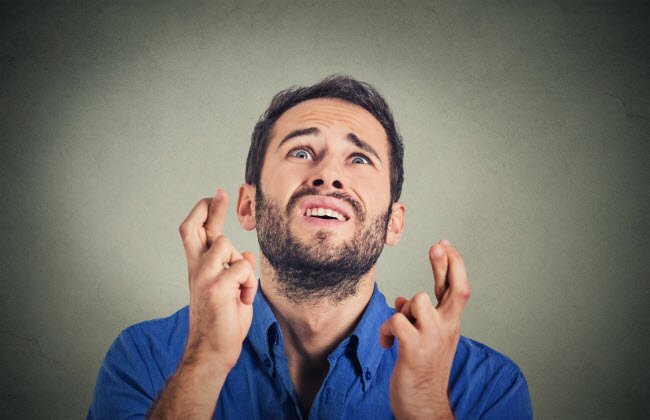 I think worry and anxiety is a common issue for most afibbers (myself included). Stay strong! That was well said..all of it but particularly the part about worrying about it. I worry all day everyday and it has consumed my life. I will work on letting go. Thank you so much! Yes. AFIB can control your life. And it can be hard to tell if you are in an “episode” or not. Some people can’t feel their AFIB. I am trying to learn to distinguish a pounding heart beat (from anxiety worrying about my heart), PVCs, and PACs. 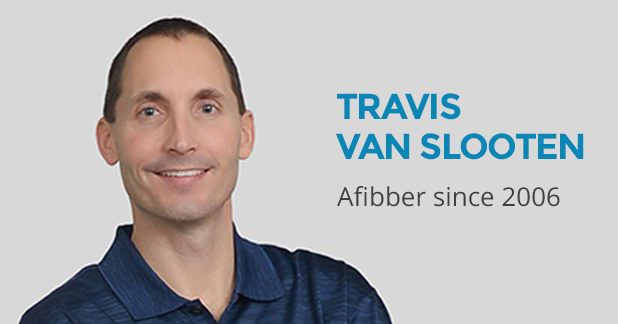 Because AFIB is so unpredictable, it is the cause we AFibbers are always wondering. I wear a FitBit and it helps and hinders. It shows me my heart rate and while it may not be totally accurate, it at least gives me a base line. Thank you Travis for all the help and support you give all of us. Fear should not be our counsel– but, it often is. I hear you about the double-edged sword that devices like the FitBit can be. On one hand it’s great to get the immediate feedback that everything is o.k., but on the other hand it can really mess with your head too because if you don’t get a normal reading you immediately start to worry. I used to use the Kardia device on a regular basis but I had to put it away. I haven’t used it now in several months. It caused more worry and anxiety!